What can you do with a 3 Cubic Metre Bin? Home > Blog > What can you do with a 3 Cubic Metre Bin? 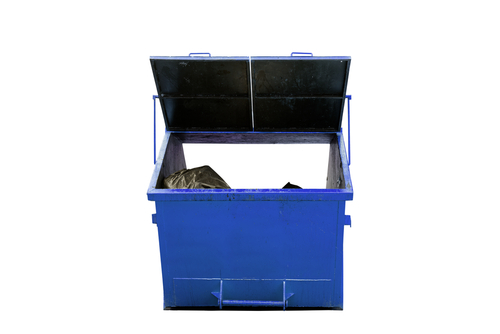 Looking to rent a 3 cubic metre skip bin and wondering about what you can really do with it? Is it enough for the purpose you have in mind and what are some of the things that you need to know when renting out one? If you're reading this then these are probably the kind of questions that you you have in mind. Read on and we'll jump right to it! How much is a 3 cubic metre bin? One of the first things that you should know about renting out a skip is that the cost can very depending on size. A 3 cubic metre skip bin is one of the smallest and most affordable bin sizes that you can opt for. Don't underestimate it though; it can be of tremendous help in rubbish removal and isn't too small for residential use. The cost of renting a skip bin with dimensions of 3 cubic metres is somewhere around $170 to $200 including delivery and collection fees. Additional fees may apply though depending on your usage requirements so you might want to discuss the matter with your service provider if only to know exactly how much you'd have to spend on such services. How big is a 3 cubic metre bin? Is a 3 cubic metre skip bin enough for your needs? Such a bin offers added storage space equal to 3 standard trailers and 12 wheelie bins; perfect for storing significant quantities of general wastes including garden and builder's refuse following an extensive renovation project. While it's tempting to opt for a smaller sized skip bin in order to save cost, know that you are not allowed to overload your bin. Doing so would make the bin unsafe for transport and you'll likely end up renting additional storage if you fail to size your bin correctly. Ready to get started with some of the finest bin hire companies in the country? Call Bins Adelaide today on 0426 570 035 and check out some of the best deals for renting out a 3 cubic metre skip bin!